We all have a degree in hindsight, but imagine experiencing the recognition hindsight affords us, with every little thing we do? Perhaps that’s what we need to do, to enjoy and appreciate each step, each action, each thought, vision or word, when it is occurring. 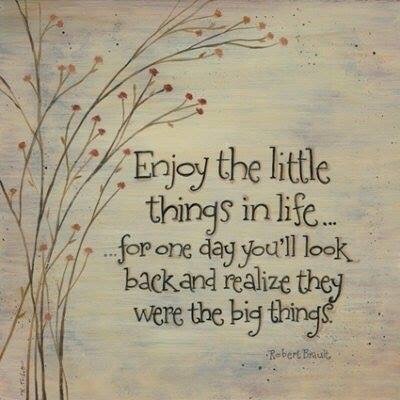 Appreciation -> Gratitude -> Treasuring the moment -> Joy -> Appreciation and so on.. So when you do look back and see that the little things were the big things, it will be confirming what is already your reality.